Neo Scale Models has finally released the closed version of the Volvo Amazon Coune convertible. Neo Scale Models had presented a prototype at the Nürnberg Toy Fair but I was not sure if and when it would be released. This 1:43 scale model is made out of resin. This first release is painted silver metallic and features a black interior. It is available for 69.95 € under item number NEO45213. I presume that more colors will be offered in the future and that Neo Scale Models will once gain provide a limited edition for the German wholesaler and reseller Modelcarworld. The Belgian Jacques Coune has produced and offered in 1963 and 1964 only four Volvo Amazon convertibles. They were available with either a bordeaux or black leather interior. Neo Scale Models has previously released an open version of the Volvo Amazon Coune Convertible. Three different colors have been offered as you can see here. Neo Scale Models has published the first photo of a new version of a Volvo 960 estate. This scale model of one of Volvo's most luxurious workhorses is painted in an elegant beige metallic. This model is depicting the US version of Volvo's 960 estate and reflects a car from model-years 1995 to 1996. This 1:43 scale model is made out of resin. You can order/buy your copy under item number NEO45463. The official retail price in Europe is 64.95 €. This is small price increase compared to previous releases of Volvo models by Neo Scale Models. Neo Scale Models has recently released the first photo of their upcoming Volvo 145 Polis model. This resin model represents a Swedish Police car. It is painted in the well known Swedish Police livery of black and white which was used for most of the 20th century. The scale model features 'Polis' lettering on the side doors as well as the hood and the trunk. Two blue beacons and a searchlight are mounted on the roof. The car features even an extra rear-view mirror on the front right wing. As you may already know I don't know much about Police cars. I can't tell you therefore if this scale model is an exact replica of the cars once used by Swedish law enforcement. You can pre-order this 1:43 sale model under item number NEO49523 at your local hobby store. I don't know the official retail price for this model. Neo Scale Models has released today the Volvo Amazon Coune Convertible in a new color. The third release of this newly tooled model is now available in white with a black interior. This is in fact the original color of all four Volvo Amazon convertibles which Jacques Coune has produced and offered in 1963 and 1964. They were available with either a bordeaux or black leather interior. Neo Scale Models offers the model as top-down version. It is fitted with the Dutch license plate "NE-52-12". This 1:43 scale model is made out of resin. You can order your example for 54.95 € under item number NEO45212. Neo Scale Models has released last week the Volvo 242 DL from model year 1979 in a new color. The latest 1:43 scale model is white and features a red interior in combination with black dashboard.. This model is available under item # NEO43822. The official price tag is 54.95 €. This model had already been announced back in 2012. See here. This is the third paint scheme Neo Scale Models is offering for their Volvo 242 DL. The first available Volvo 242 DL has been made back in 2010 as a limited edition of 300 models for the German web-shop ModelCarWorld.de. This model was painted ceramic blue and featured a black interior. It was available under item # 164343. The second release which was also the first version for the regular market was a 242 DL in wine red. It featured a brown interior with a black dashboard. It was available under item # NEO43821. This one had been released back in 2011. 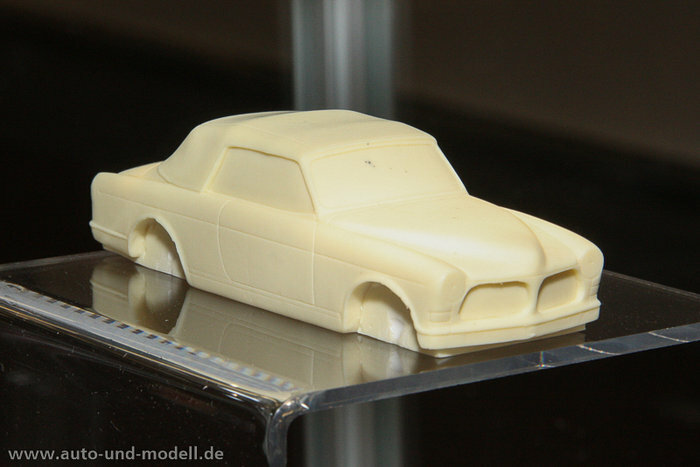 Neo scale Models has published the first photo of the upcoming Volvo Amazon Coune Convertible. The first release of this newly tooled model will be available in gray. The interior will be red together with a red top in the open position. This model will be made out of resin and will be available as 1:43 scale model. You can already pre-order your model under item number NEO45210. The official retail price will probably be 59.90 €. I guess that this new Volvo model will be available in the coming couple of weeks. I'm sure other color versions will follow at a later date. A blue painted model has already been announced as limited edition for the German webshop Model Car World. It will be a limited run of only 300 pieces. You can reserve your model under item # 185703. Neo Scale Models will provide Model Car World once again with a model in a special and limited color. The newly announced model will be a 1:43 replica of the Volvo Amazon Coune convertible. The resin model will be available in blue in a limited run of only 300 pieces. You can reserve your model under item # 185703. Neo Limited Models has announced the Volvo Amazon Coune convertible this spring during the Toy Fair in Nürnberg (D). The first regular release will be painted gray. An exact release date has not yet been communicated.